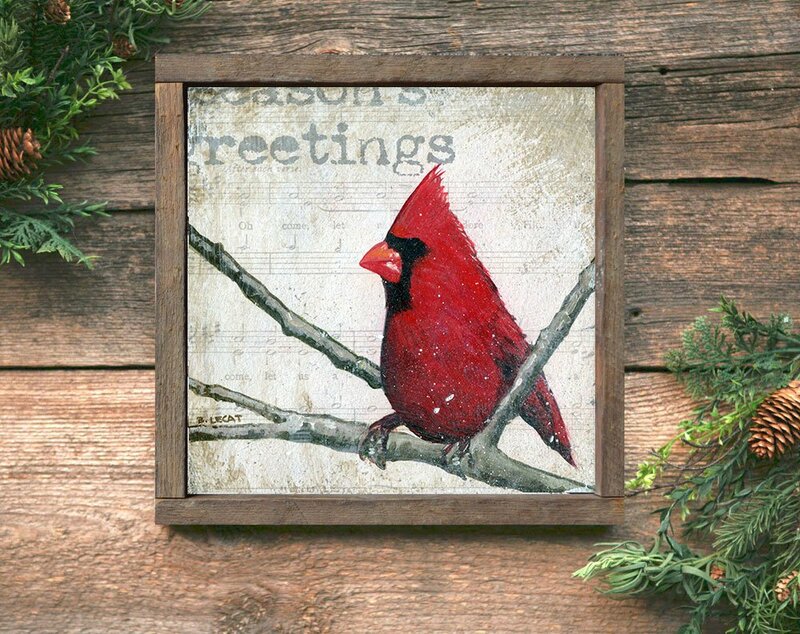 Christmas cardinal art print with barn wood frame available in two sizes. 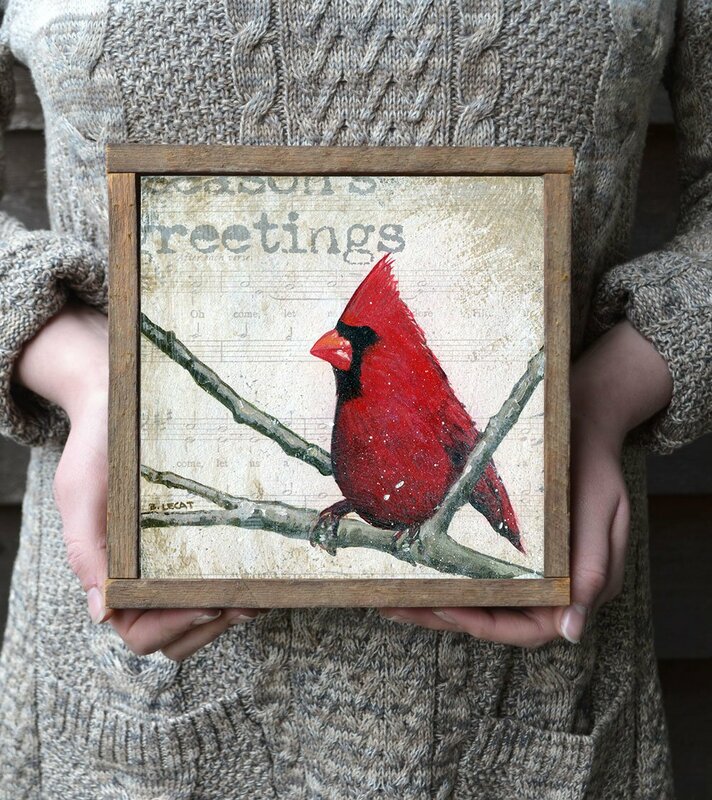 This charming Christmas art featuring a red cardinal is sure to become a family favorite! Hang or prop it on a mantle, bookshelf or table display. Makes a great Christmas gift idea! Group it with another piece from my Christmas offerings to create a festive display or wall grouping. 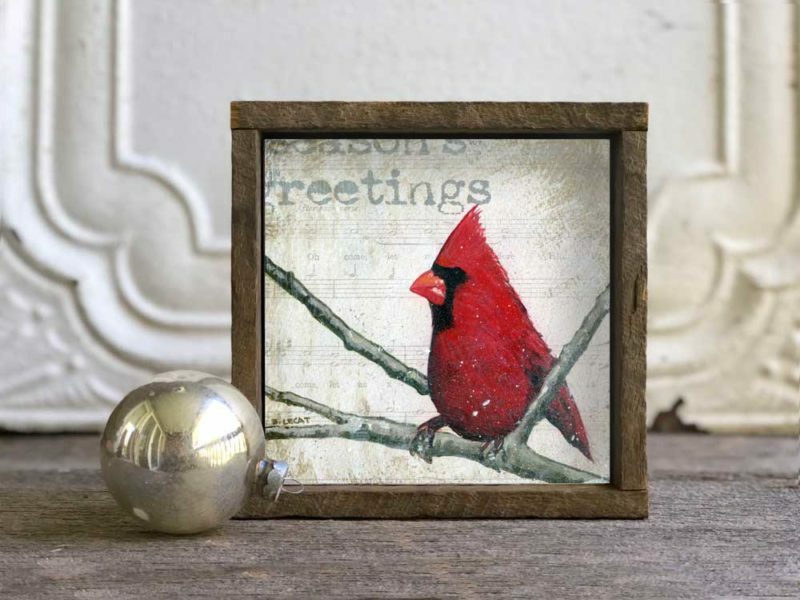 This print features a red Cardinal on a white and gray background and the words “season’s greetings”. 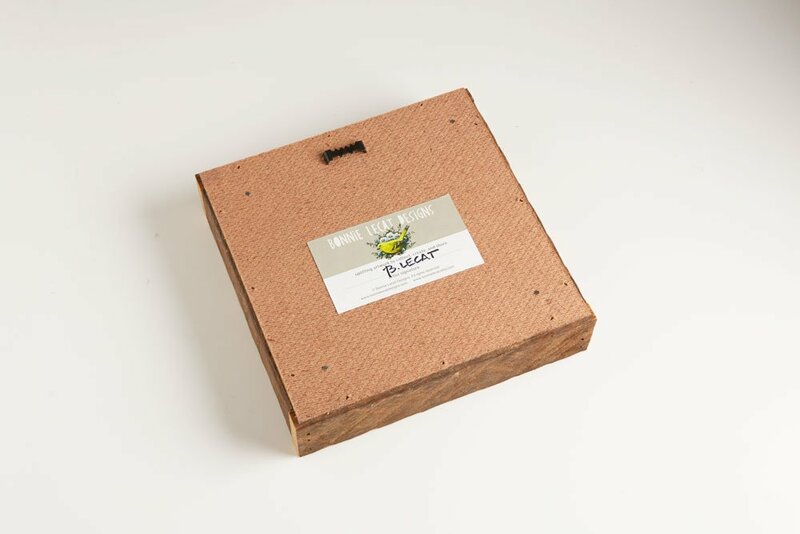 Comes ready to display or give as a gift. Hang it up or prop it on a bookshelf, end table, or mantle right out of the box! 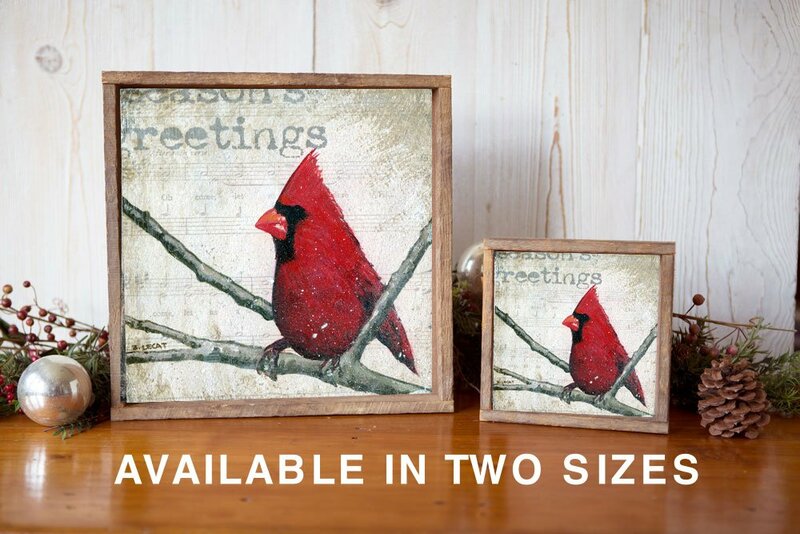 Perfect for instant decorating or easy gift giving! I received my Christmas Cardinal in the mail and it’s even more stunning in person! 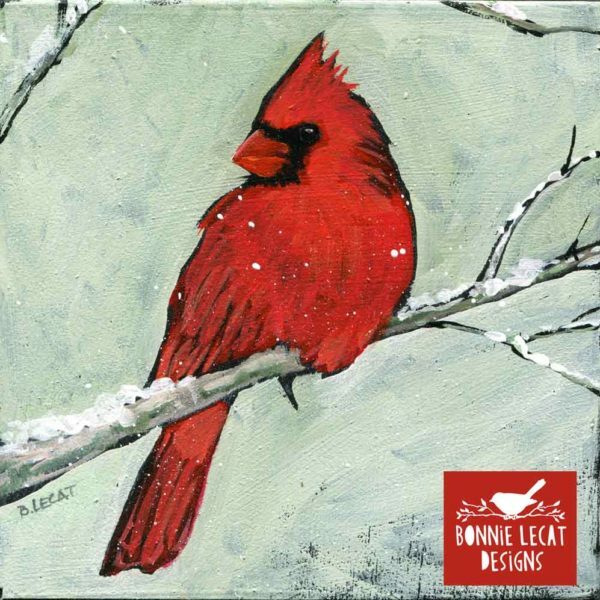 I can’t wait to hang it up for the Christmas season and I’m even thinking to grab another painting to pair with it. The order arrived quickly and was packaged well. Return customer. Love this artist’s creative style. Thank you!